I’ve been meaning to eat more grains. Not just multi-grain toast, or grainy mustard; I eat enough of those. Proper whole grains. Warm or cold, chewy, and good for me. And delicious, too. But until lately it hasn’t exactly happened. The thing with eating more of something, is that it is just like eating less of something, but in reverse. If you don’t want to keep snacking on bags of chips and bowls of popcorn in the evening, you have to stop buying them at the store and bringing them home. When you realize that cookies are being eaten by the row-ful out of the package, don’t keep them in the house. In order to make yourself drink more water everyday you buy a thermos and start taking filtered water with a slice of lemon to work with you everyday. This theory is the opposite of out of sight out of mind: if you have it ready, in sight, you’ll use it and replenish it. So in order to eat more grains, I have to buy and cook more grains. It seems pretty obvious, actually. First was brown rice, which was in the pantry. I made a potful and put it in the fridge, then added it to salads and used it for lunch (usually as some sort of salad for lunch, actually). 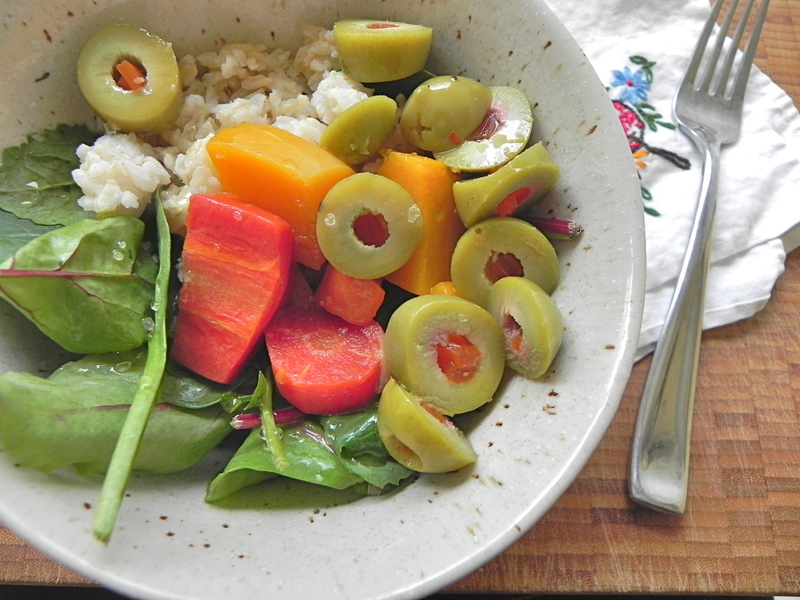 brown rice, hearty greens (kale/spinach/chard mix that I came across at the store one day), roasted squash & carrots, olives. And I added feta once I got to the table, but didn’t go back to re-snap photos. I haven’t seen farro at the store the last couple of times I was shopping, but I bought a package of pearl barley instead. A potful has been made, and put into the fridge. I like barley a lot so am interested to see/hear what you do with it. That first salad, with blueberries and pumpkin seeds, looks incredible. 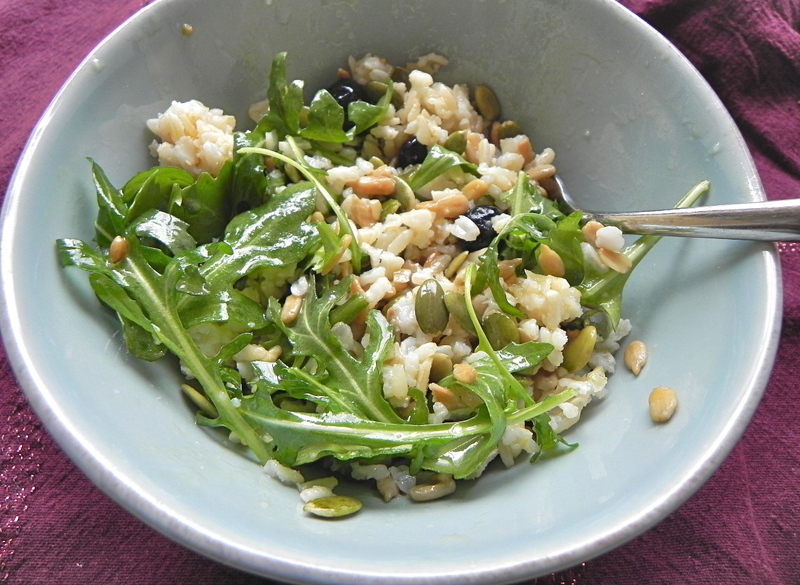 And I agree, sneaking grains into salads remains one of my favourite ways to consume them! Thanks – that salad came together on the spot, with what was in the fridge/pantry and seemed right at the time. As many of my salads do! And now I keep adding grains.